What is the purpose of the community reputation? I think it says how active you are in the community. As I posted content, my reputation went up, but as I had do to a little break, my reputation went down. Now, as I post again, my reputation goes up, again. What am I doing wrong? Why doesn’t anybody wanna talk to me? Thanks it’s nice to know it’s just not me. Hello there. I was just curious to know if there was or is going to be a saggerworld calendar this year? If I missed the announcement forgive my apologies. Time to thin out the albums and delete the dead weight. I’m acient that’s all I’m going to say. Just stop by to say hello and I enjoyed chatting with you today. Thanks. 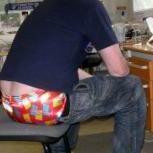 Tomsplz wasn’t related to sagging at all , just something with friends. What is your opinion on others sharing and or uploading some of your photos on social media? Do you find I’d flattering or rude? I personally find it flattering. I see so many of the same pictures shared all over social media. A lot from those of you have commented. I agree with acknowledgment for the owner . Anyone got some sagging tips for better results? What is your most liked picture? I would be down to trade some underwear. I do it all the time. This sure can be a lonely site. 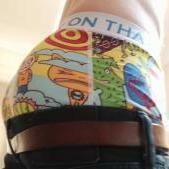 What kind of boxers are those in your profile pic? 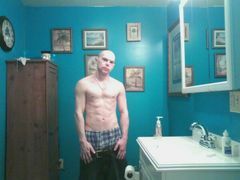 Are there any other saggers in Ohio that would like to get together and possibly chill? Had a good time chillin with another sagger the other day. You two are effin hot!! Why have you stopped posting on Instagram? Sorry to hear I miss seeing you there. Your profile is still up. Saggerworld is my favorite site. I made my 1st wet sagging video a couple days ago. It was fun. Just the results i thought i would get. I will just delete them.